Peter Quinn RWS is an artist who seeks subject matter both in the everyday of his own locality and in more exotic locations. 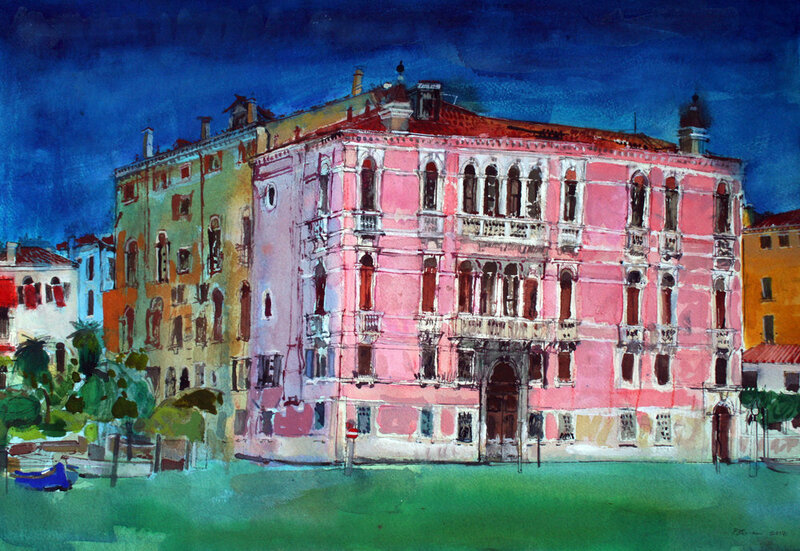 He is well known for brightly coloured, unique watercolours of interesting buildings; demonstrating perfectly a confident draughtsmanship and an eye for the details that capture the spirit of places so completely. Peter graduated from Glasgow School of Art in 1986, and previously taught at the University of Sunderland. He has shown at the Bankside Gallery with the Royal Watercolour Society since 1999, when he was an award winner; and in 1995 won the Armour Award for an outstanding watercolour at the Royal Glasgow Institute. He exhibits in Newcastle, Glasgow, Malta and London. Peter is a member of the Royal Watercolour Society.